EcoFriendly Sask: The Small lot of H.O.P.E. EcoFriendly Sask has awarded a $500 EcoFriendly Action Grant to the Cornerstone Family and Youth Partnership Project to help them extend The Small lot of H.O.P.E., the Fruit and Vegetable Children’s Garden. In 2008-09, Carlyle Elementary School grounds included a cracked concrete pad and two rusty basketball hoops located between the east wall of the gym and a storage shed. 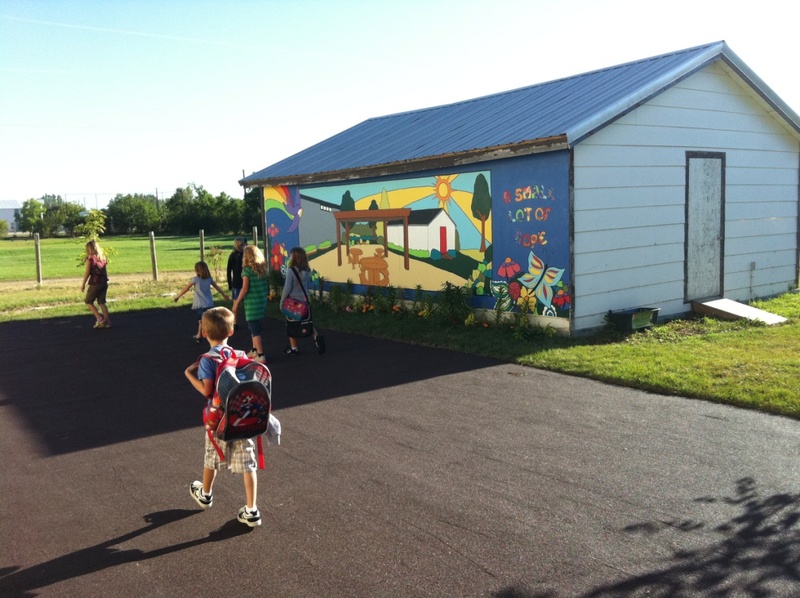 Working with their teachers and families, the students decided to transform the lot into an outdoor classroom garden. Over the past five years, they have planted trees, built raised flower beds, replaced the concrete pad with a recycled tire patio, created a rain barrel water collection system, developed a school-wide composting program, purchased picnic tables, and even painted a mural of how the garden will look when it is complete. The school wants to extend its garden by adding four raised garden beds to plant and harvest fruit and vegetables that the students can use in their nutrition program. The raised beds will be built from composite wood grain timbers that are manufactured from 60% recycled post-consumer plastic and 40% natural fibers. The school partners with Cornerstone Family and Youth (CFY), a non-profit charitable organization that provides educational and recreational programs for children, to operate the garden program. 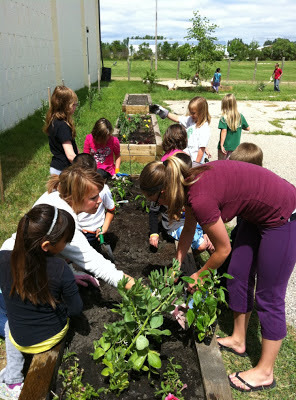 Together, they offer a twice-weekly after-school garden club during the spring, early summer, and autumn. 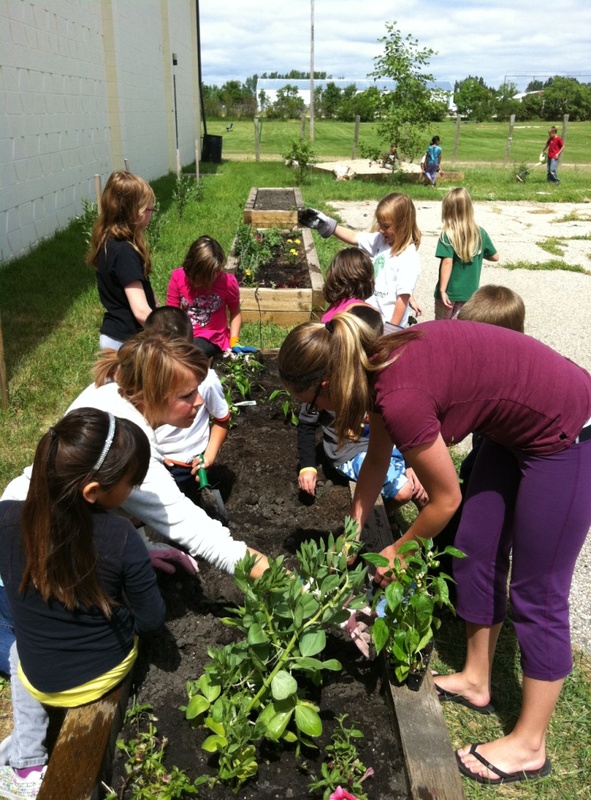 When school is out, CFY hosts a daily summer camp program that maintains the garden.